Uniting Mind, Body and Spirit to Manage Stress and Anxiety and to Promote Emotional Regulation and True Holistic Health. Available for Kids, Teens, Adults and Families. Family Unity and General well Being for Kids, Teens and Adults. Please see the below calendar for upcoming workshops. To book, please using the booking tab below. These 1.5 hour workshops were designed to teach our Kids, Teens and Adult Empaths (or those labelled as “Highly Sensitive”) how to manage their stress and anxiety as a result of their Empathy. You yourself might be an empath and want to learn more about it or you might be the parent/carer of an empath kid and want to help them learn how to self regulate their empathy. participate in a guided meditation. These are fun, hands on workshops with a variety of visual, auditory, physical and verbal presentations and activities to cater for most learning styles. We will be practising techniques and strategies throughout the workshop and we will end with a guided meditation led by me. Parents are encouraged to stay for the Kids workshops but are not required to stay for the Teens. 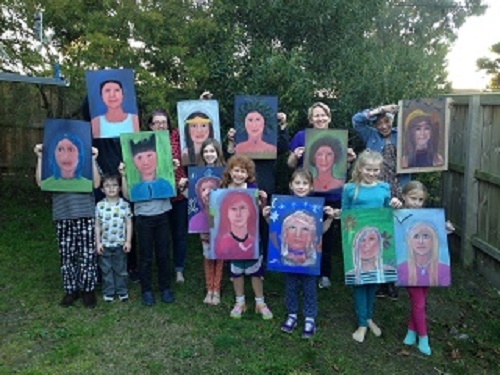 Both the Kids and Teen workshops are capped at 6 participants and the Adults workshop at 7. Various 1.5 hour workshops held throughout the year all centred around using crystals to help manage our stress and anxiety. Open to Kids and Teens these workshops allow you to work with crystals and discover how you can use them in everyday life. 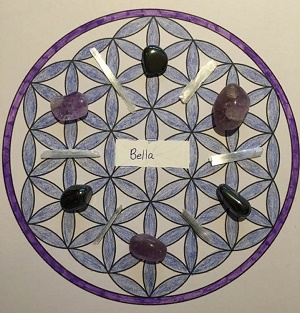 Upcoming workshops include “Crystals and Protection” where we learn how to construct a simple crystal grid and make a crystal protection spray to keep and take home. (Great for our younger kids as this “monster spray” is very empowering and a wonderful sleep aid). Every participant will take home at least one crystal elixir, spray or pouch from each session with instructions on its use, ingredients and general information on how to charge and cleanse crystals. Parents are encouraged to stay for the Kids workshops but are not required to stay for the Teens. Both the Kids and Teen workshops are capped at 6 participants. Total cost for Kids (6-10yrs) and Teens (11yrs +) is $30-$35 per person per workshop. Join Laura Floyd from Essence of Life for this 2.5-3hour workshop where she will gently assist you to draw your spirit guide. Laura is a talented artist who has been drawing other people’s spirit guides for over 10 years. No drawing ability is needed and all materials and a light afternoon tea are provided. You will end up with an A3 charcoal masterpiece of your Spirit Guide to take home. Total cost is $65 for Kids and Teens and $85 for Adults. Learn about Essential Oils and how their use can help to manage stress and anxiety. Learn how to make your own spray or roll on to keep and take home. Drumming is widely accepted as a strategy to help manage our stress and anxiety as well as to accelerate healing and boost our immune system. Judy O’Donnell from Amulets Traveller will guide and assist you to create your own masterpiece to use at home. Ceramic pots, deer skin hides, drum sticks and all embellishments/decorations are provided as is a light afternoon tea. Total cost is $40 each for Kids, Teens and Adults. 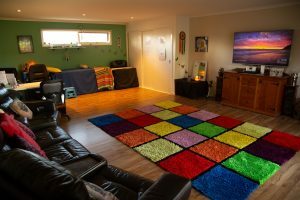 “Kim has created a beautiful, safe, peaceful healing & learning space where you feel entirely balanced & protected to be yourself. She is very caring, intuitive, passionate & dedicated. I have attended two workshops so far & am booked in for my third. I have found the workshops to be informative, affordable, healing, reassuring & fun. Thank you so much Kim for my new life tools! Bless xox”. Briony B.